Arnie the Armadillo is a delicate little fella. Whilst you'd expect an armadillo to have a tough exterior shell, Arnie is remarkably cuddly, sensitive and a little shy. He really enjoys sitting in the corner, taking it all in... and munching on ants! 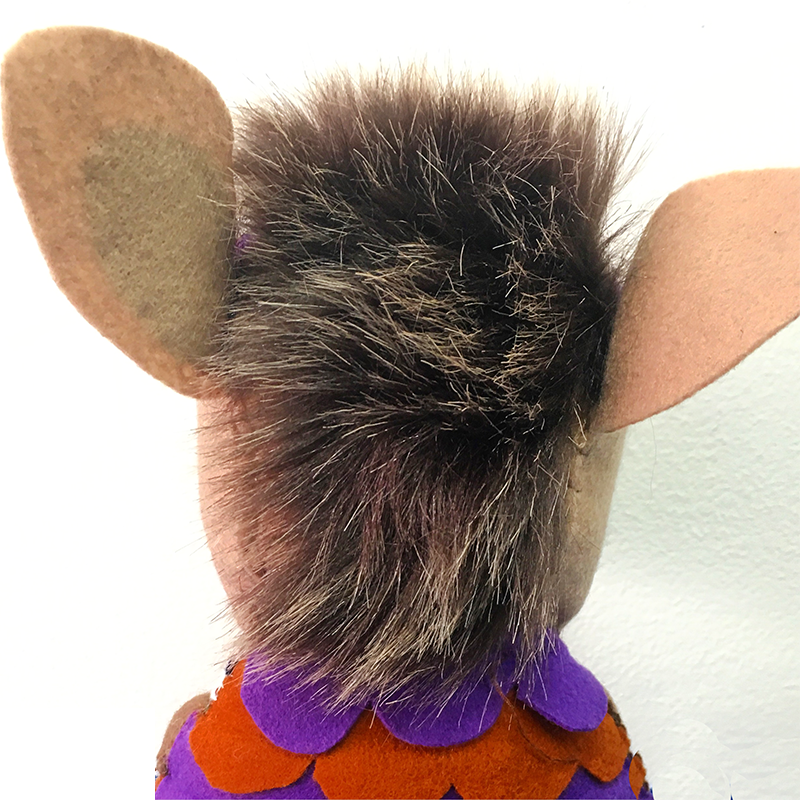 Standing about 30cm tall by 16cm wide, Arnie the Armadillo is a plush creature made from felt, and firmly stuffed for that nice, solid, huggable feeling. He is hand-stitched and embellished with brass buttons. As with all of the Creatures & Cream range, this cute little Armadillo is designed to delight and bring joy to your household! I hope you enjoy him as much as I've enjoyed creating him!